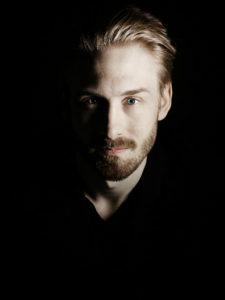 2012-2015 Hannes took part in the Bachelor’s program at the University college of opera in Stockholm, studying with tenor and vocal coach Erik Årman. During these years he worked with orchestras, directors and conductors from all over Scandinavia and he even had the privilege of performing a private lieder concert for the Swedish Royal family. In 2014 he made his debut at the Royal Opera in Stockholm as Don Juan in the new opera “My brother Don Juan”. Among recent and future engagements to be mentioned are Algernon in “The Importance of Being Ernest” at the Vadstena Academy, Valentin in “Faust” at Norrlandsoperan, a revival of “My Brother Don Juan” at the Royal Opera and Maximilian in “Candide” with the Warsaw Philharmonic.